Brooke Bohnsack lives in Old Greenwich with her husband, Nicholas and three young sons. 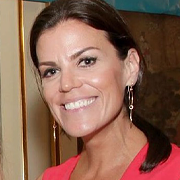 Brooke has had a career in sports business having worked for The United States Tennis Association (USTA) in Player Operations during the US Open, and in finance and events for the National Tennis Center year round. She has been a devoted volunteer in the Greenwich community since leaving her full time job to raise her three boys. Brooke has been an active member of the Junior League of Greenwich (JLG) for five years, and has served in various committee chair roles, and more recently served on their Board of Directors as a Community Director. Next year she will also continue to serve on the Board of Directors for the YWCA in Greenwich. She serves as a co-chair for Make-A-Wish Connecticut’s largest annual fundraiser, as well as organizes local events to benefit the charity throughout the year. Her list of other past and current local volunteer associations include Mothers for Others (President), the Parents Association at St. Paul’s Day School in Riverside (Co-President for 2014-15 and 2015-2016), and the Greenwich Point Conservancy (Co-Chair of the 2015 Beach Ball). Brooke graduated from Hobart & William Smith in 2002 with a degree in Public Policy.